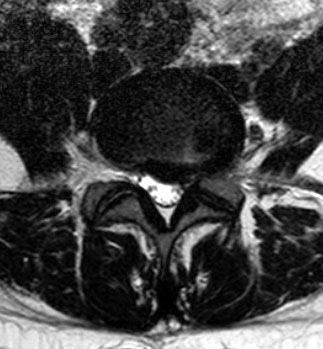 A prolapsed (herniated) disc occurs when the outer fibres of the intervertebral disc (its annulus) are injured, and the soft material known as the nucleus pulposus, ruptures out of its enclosed space. The prolapsed or ruptured disc material can enter the spinal canal, compressing the spinal cord, but more frequently the spinal nerves. 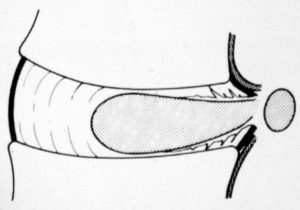 The nucleus pulposus protrudes into the annulus fibrosus. The outer fibers of the disc, annulus fibrosus, are injured and the nucleus pulposus enters the spinal cord. 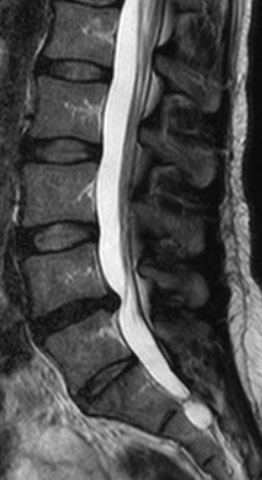 Is the most severe degree of disc herniation, in which the nuclear material spills out and completely separates with the disc. Suddenly because of excessive pressure. Bending forwards and attempt to lift an object, which is too heavy. 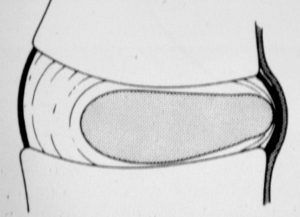 Lesser degree of force – usually due to weakening of annulus fibrosis due to repetitive minor injuries. Men between the ages of 30 and 50 are most likely to have a herniated disk. It is believed that smoking lessens oxygen supply to the disk and causes more rapid degeneration. Being overweight puts added stress on the disks in your lower back. Lift something, twist or bend in a manner, which exerts enough pressure on the disc to cause it to rupture through its weakened outer fibres. The disc material that has ruptured into the spinal cord or intervertebral foramen can exert pressure on the nerves. The nucleus material contains a number of substances known as ‘inflammatory mediators’. These cause chemical irritation of the nerve roots and result in inflammation of the nerves. Both the pressure on the nerve root and the chemical irritation can lead to problems with how the nerve root works. 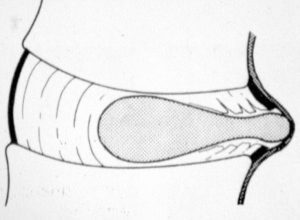 Pain along the affected nerves. Paresthesia in form of numbness, pins and needles, or tingling in the area of the sensory innervation of the affected nerve. Weakness involving the innervated muscles. In severe cases, loss of control of bladder and/or bowels, numbness in the genital area, and impotence (in men). (Cauda equina syndrome, affected nerve pudendus S2-S4). The most common surgical procedure for a herniated disk in the lower back is a lumbar microdiscectomy. Microdiscetomy involves removing the herniated part of the disk and anyfragments that are putting pressure on the spinal nerve.